The third most common cancer in the world is colorectal cancer, which accounts for nearly 10% of all cancer diagnoses. For locally advanced rectal cancer, standard treatments include neoadjuvant radiotherapy with simultaneous 5-fluorouracil (5-FU)-based chemotherapy (neoadjuvant CRT), followed by surgery. Neoadjuvant CRT not only reduces the volume of tumor but also reduces the risk of local recurrence of tumor. Still, despite these positive outcomes, the response or degree of regression differs significantly from one individual to another. While a pathologic complete response, defined as no viable tumor cells in the surgical resection specimen, has been observed in about 20% of patients, approximately 60% have an intermediate or partial response and around 20% have little to no regression. For the latter patient group, the benefit of CRT is not as clear and factors related to response are not properly understood. Even in the context of potentially curative surgery, the degree of tumor regression after CRT is associated with better long-term outcomes. It is a known fact that the immune system plays a crucial role in tumor control and treatment response. Tumor infiltration by T cells is associated with better prognosis in many types of cancers and could also be more prognostic than histological TNM stage for individuals with stage I-III colorectal cancer. In rectal cancer patients that were treated with neoadjuvant CRT, a greater infiltration of pre-treatment CD8+ T cell predicts good response to CRT. In surgically-treated rectal cancer patients, a higher density of total and CD8+ T cells in the invasive margin and central tumor is associated with improved cases of disease-free patients and increased chances of survival. On the contrary, infiltration of tumors by CD4+ regulatory T cells (Tregs) is generally linked to poorer clinical outcome. Tregs negatively regulate immune responses and constitutively express the transcription factor – forkhead box protein 3 (Foxp3). Anti-tumor immunity can be improved by both radiotherapy and chemotherapy through many different mechanisms, which also includes selective depletion of Tregs. Recently, a group of 128 patients underwent surgery and neoadjuvant CRT for rectal cancer, where it was found that the stroma of surgical resection specimens (post-CRT) had fewer Tregs which strongly indicated better tumor regression. It is predicted that individuals with a low stromal Treg density are five times more likely to have a complete pathological response after adjusting the factors. Although this may indicate selective Treg depletion in such patients, an alternate theory is that the presence of fewer Tregs in the local tumor environment before treatment may enable effective chemoradiotherapy-induced antitumor immunity. Using TissueGnostics’ StrataQuest version 5, CD8+, Foxp3+, and CD3+ T cell density (cells/mm2 tissue) were evaluated. Before digital analysis, all images were assessed for staining quality. TGs StrataQuest is known as a revolutionary image processing solution for both fluorescence and brightfield images. 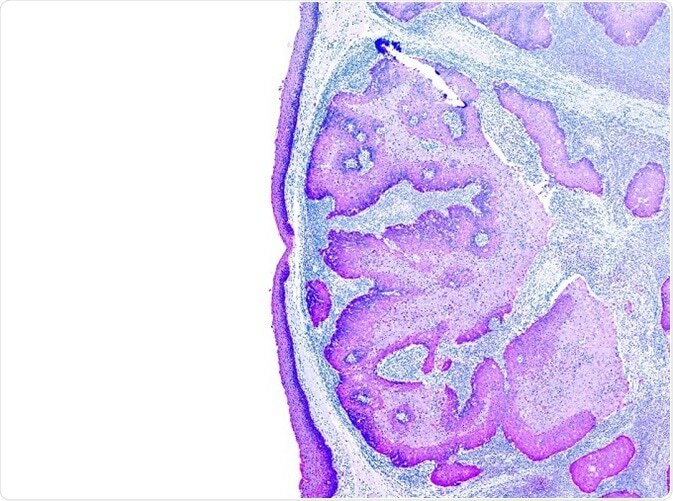 This solution can automatically recognize most of the tissue structures on a digital slide, and it incorporates the detected objects into comprehensive context-based quantitative analysis. Moreover, the software provides a perfect image processing environment for dedicated image processors and clinical researchers. In this analysis, the scientists studied the association between response to neoadjuvant CRT and T cell subset density in pre-treatment diagnostic biopsies in patients suffering from locally advanced rectal cancer. An existing local anti-tumor immune response is controlled by CD8+ cells rather than Tregs. The scientists hypothesized that this response would ‘set the scene’ for successful CRT-induced anti-tumor immunity and thus lead to improved treatment response. In spite of significant inter-patient difference in T cell subset densities, no association was found between CD8+, CD3+ or Foxp3+ cell density (or ratios of T cell subsets) in long-term survival or pre-treatment biopsies and tumor regression grade. Nodal stage or clinical tumor, or the presence or absence of distant metastases as established by pre-treatment imaging, had no effect on T cell subset densities. Gender was the only demographic or clinical variable considerably associated with T cell subset density, with women having a more marked infiltration of CD8+ and Foxp3+ cells. To conclude, Foxp3+ cell density in the tumor microenvironment before CRT failed to predict tumor regression in patients with locally advanced rectal cancer. More research needs to be carried out in this area to examine how the immune system could mediate response to neoadjuvant CRT.